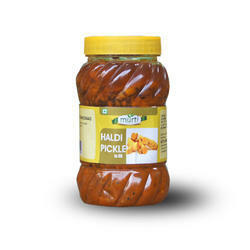 We are one of the leading manufacturer and supplier of high grade Pickles. With the help of our team of highly experienced professionals and agronomist, we prepare these Mango, Mixed, Lime, Lime Sweet, Chillies (red / green), Stuffed chillies, Tenti and Lotus stem pickles in a very hygienic and safe method. Well known for its essential nutrients, appetizing aroma and enticing flavor, our pickles are broadly used along with various cuisines for adding alluring taste to the food. With the aid of our experienced team, we are devoted towards providing an exquisite range of Rajasthani mirch Pickle to our clients. the rajasthani mirch are spicy food it increase taste of our food. they are increase in fiber. 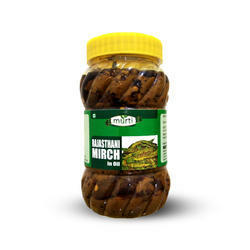 the rajasthani mirch are very good for health they reduce fat and save for cancer and malaria. 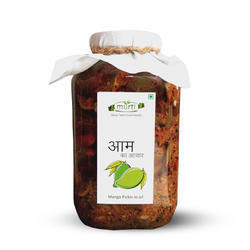 We are the leading entity in the industry, highly engaged in offering the best quality range of Murti Mango Pickles to our clients. the mango are tasty and healthy food. they are help of maintaing cholestrol, claening skin, good for eye, fight against heat stroke, digues the immune system. 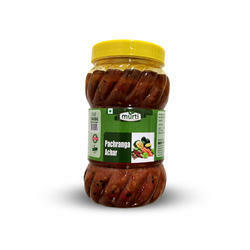 With the aid of our experienced team, we are devoted towards providing an exquisite range of pachranga Pickle to our clients. pachranga pickles are creat by five ingredients like a lime, mango, ginger, chilli, carrot.the pachranga pickle are good for health the are help of digestions . With the aid of our experienced team, we are devoted towards providing an exquisite range of Ramkela Mango Pickle to our clients. the mango are tasty and healthy food. they are help of maintaing cholestrol, claening skin, good for eye, fight against heat stroke, digues the immune system.it is a mix of differnt ingredients to lure your taste buds keeping in mind the health benefits as well. 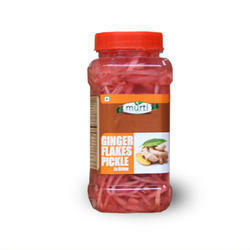 We are the leading entity in the industry, highly engaged in offering the best quality range of Murti ginger pickles to our clients. the ginger are help for low calories, no bit for fat , help for sugar maintain. Mango pickles: Raw mangoes are hand picked , sorted and cut to a small piece. 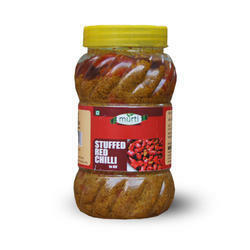 fershly grounded and whole spices and condimintes are added to give it a perfect home flavour.mangoes are juicy fruit. help for vitamins and calcium. it is a mix of differnt ingredients to lure your taste buds keeping in mind the health benefits as well. 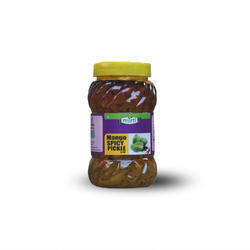 Murti mixed pickle:Driven by a vision to achieve significant growth in the industry, we are engaged in providing a wide range of Murti Mixed Pickle to our clients. Mixed pickles are pickles made from a variety of vegetables & fruit mixed in the same pickling process. it is a mix of differnt ingredients to lure your taste buds keeping in mind the health benefits as well. 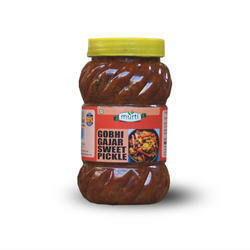 Murti Gobhi Gajar pickle: Raw Gobhi,gajar are hand picked , sorted and cut to a small piece. fershly grounded and whole sweet and condimintes are added to give it a perfect home flavour.the perfect vegitable mix with a special ingrdients. they give sweet flavoured. it is a mix of differnt ingredients to lure your taste buds keeping in mind the health benefits as well. 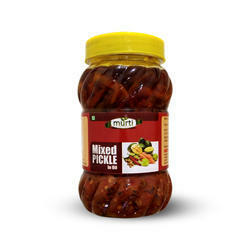 Driven by a vision to achieve significant growth in the industry, we are engaged in providing a wide range of Murti Mixed Pickle to our clients.Mixed pickles are pickles made from a variety of vegetables & fruit mixed in the same pickling process. it is a mix of differnt ingredients to lure your taste buds keeping in mind the health benefits as well. Driven by a vision to achieve significant growth in the industry, we are engaged in providing a wide range of Murti Stuffed red chilli to our clients.As we known red chilli is very popular in indians. it give us a spicy taste.it is a mix of differnt ingredients to lure your taste buds keeping in mind the health benefits as well.